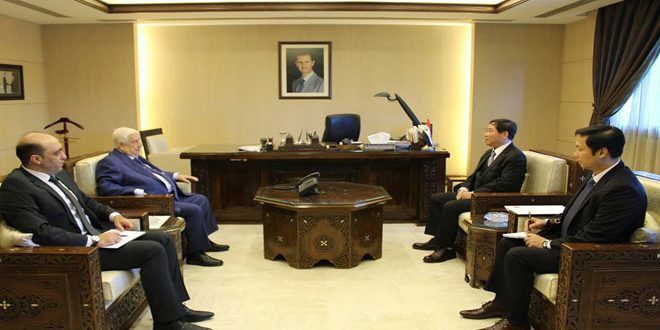 Damascus, SANA – Speaker of the People’s Assembly Hadiyeh Abbas met on Saturday the visiting Russian parliamentary delegation, headed by Russian State Duma member Nikolai Antoshkin. 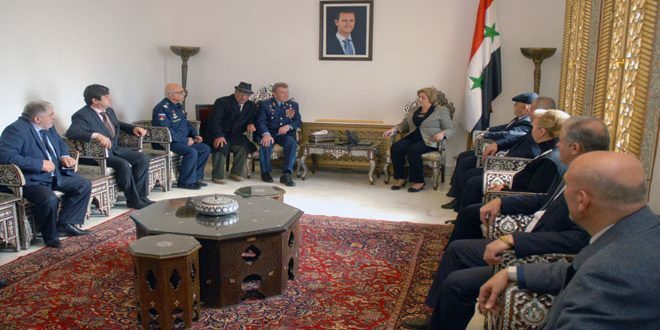 Abbas expressed Syria’s deep appreciation of the great humanitarian efforts put by the Russian State Duma and all other Russian sides to help the Syrian people get through the crisis. 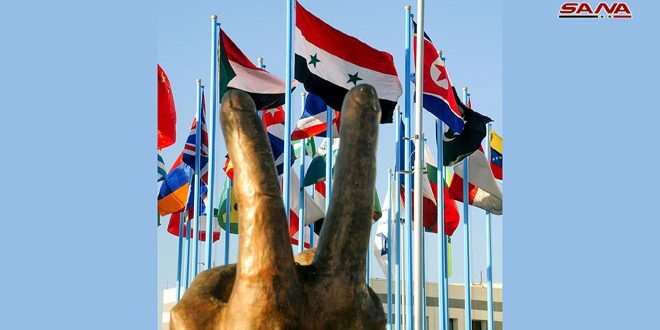 Antoshkin, for his part, stressed that his country is determined to continue providing political, economic and humanitarian support to Syria and stand by its side in the face of the war waged against it, noting that the Russian-Syrian parliamentary relations are constantly developing. 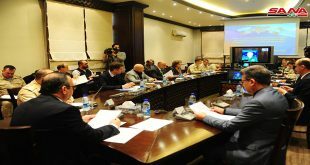 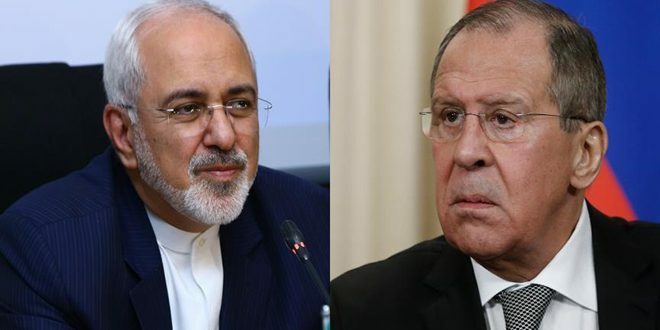 He noted that Russia, through its delegations to all international forums, works on conveying the reality of the situation in Syria, especially regarding the terrorism striking the country. He also stressed that Russia will continue providing humanitarian assistance to the Syrians.